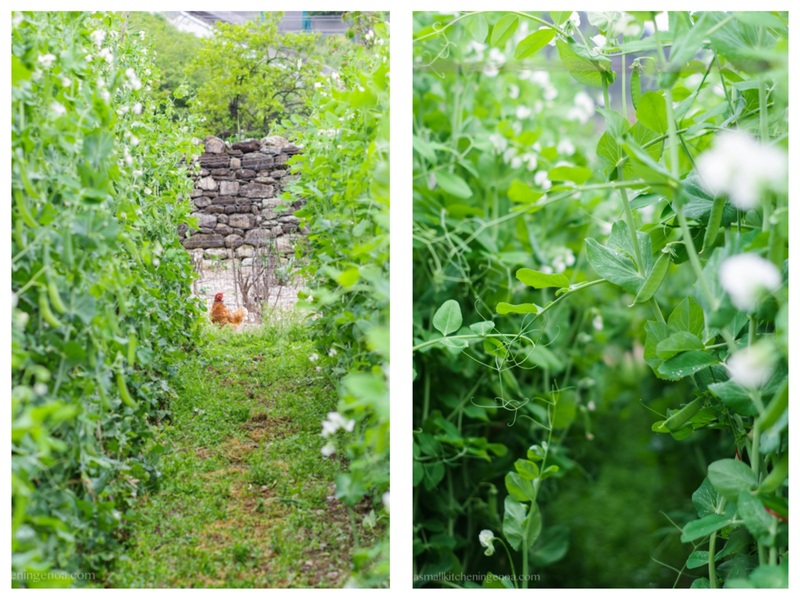 Summer this year makes its thunderous entry without even waiting for the solstice. Today very early in the morning I’m writing on the terrace. The light breeze coming from the sea is going to give me a couple of peaceful hours outdoors. The flower-scented air flows on my naked arms, on my uncovered ankles, sneaks in my light clothes and caresses the skin of my back, still dry and warm. In a few hours, I know, everything will change: the cicada living on the opposite pine tree will start chopping, the shadow line will surpass the table where I’m working on and a sticky moisture will come up from the street. I’ll have to go into hiding indoor with the air conditioning regretting the spring that even this year passed without anyone noticing. This sudden arrival of a new season makes me think about the time that runs so fast. With a slight sense of guilty I think of the importance of taking a break and choosing exactly what we want to put into our days, days that follow one after another like small pearls of a necklace whose end we ignore. Choosing where to put our souls, where to spend our energies, next to whom spending our hours and with whom sharing our memories. We have so little time and there are so many possibilities that rearranging priorities, banning distractions and putting on the door intruders have become fundamental for nurturing our soul, for keeping its pieces together, for finding harmony and balance inside and with our beloved ones. But how damn difficult is it? Especially for people like me: enthusiastic about everything and willing to carry forward a thousand of projects at the same time. Today, however, I decided to sit on my terrace in the early morning and write. And I know that this hour spent here will remain in my memories because I chose it. Shortly I’ll be on the go, back to my daily’s commitments, always different, mixed up and flexible, because learning to choose is a really difficult job and I still need a lot (a lot) of practice. 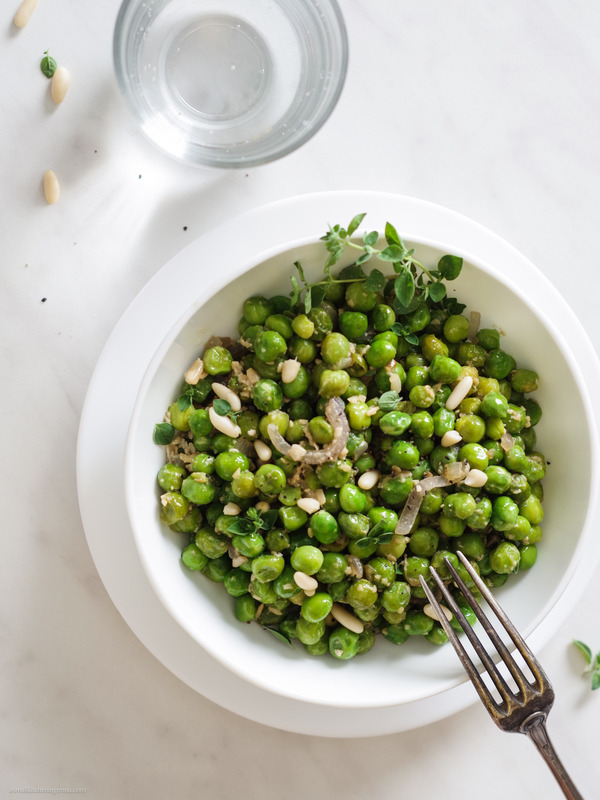 I decided at the very last moment to cook the super fresh organic peas I had shelled in the morning watching an online tutorial (the benefits of e-learning and the damnation of multitasking!). 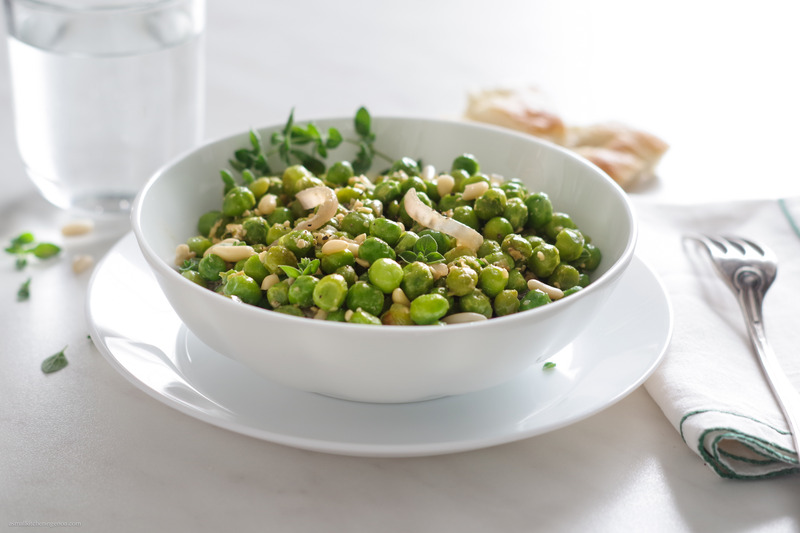 I prepared stewed green peas, which here in Genoa are also called “peas a la bourgeoisie”. 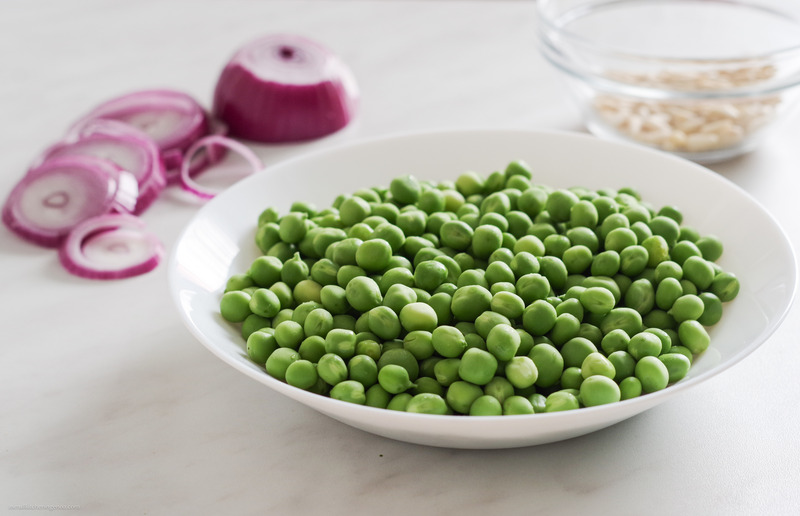 In my opinion this is the best way to enjoy seasonal peas when they are so fresh, pulpy and sweet that half of them disappears in your mouth while shelling them. For the recipe of this stewed green peas I took inspiration from Father Gaspare Dellepiane, a monk author of “Cucina di strettissimo magro” a cook book with recipes to prepare during Lent period (when eating animal product is forbidden), published for the first time in 1880 and a milestone in Genoa’s gastronomic publishing (I’ve already written about this book in my early post on a veggie ragu). 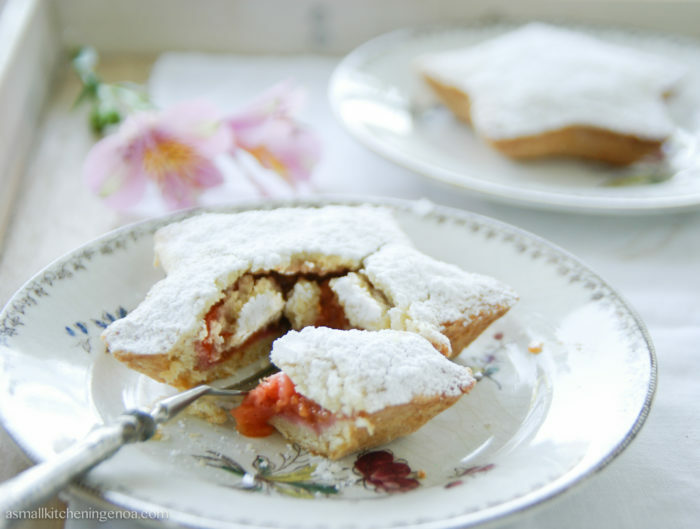 His recipes are of a disarming simplicity, yet so well calibrated that the taste of the main ingredient is always exquisite, especially if it is a fresh and seasoned vegetable. Slice the red onion into thin strings. 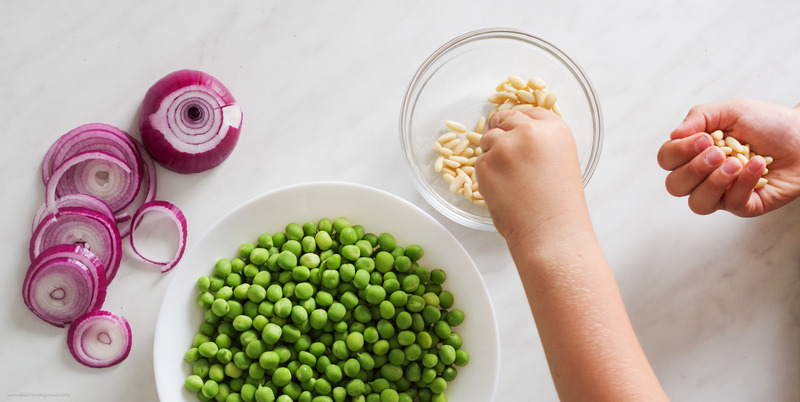 Pour the oil into a large pan, add the onion, the peas and cook for eight minutes over medium heat. To prevent the onion to burn add a spoonful of water. 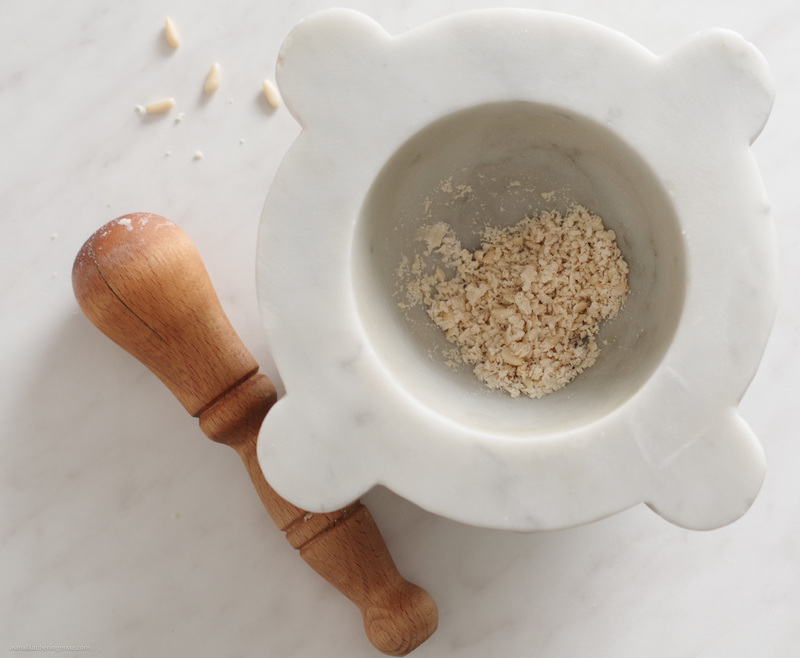 In the meantime, smash the pine nuts in a mortar (you do not need to reduce them in a cream, some bigger pieces will give a pleasure crunchiness) add ½ cup of cold water and stir to obtain a kind of milk. 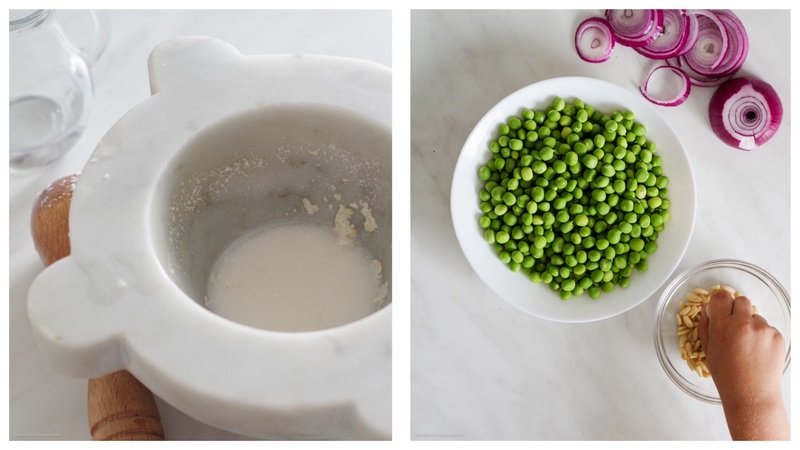 Pour the "pine nuts milk" into the frying pan, adjust salt and let it cook slowly under a lid until the peas are perfectly cooked (that means, when the peas will be soft but not squashy!). 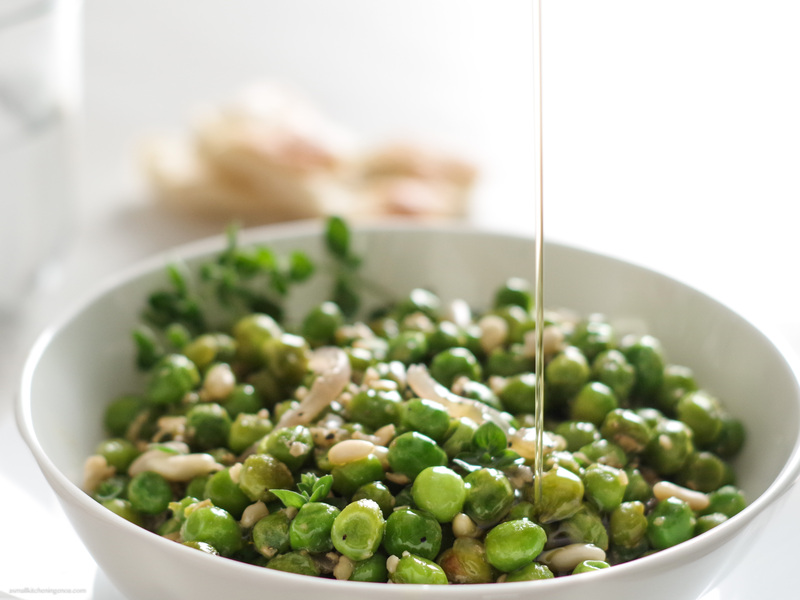 Did you like this recipe of stewed green peas? Don’t miss the following! 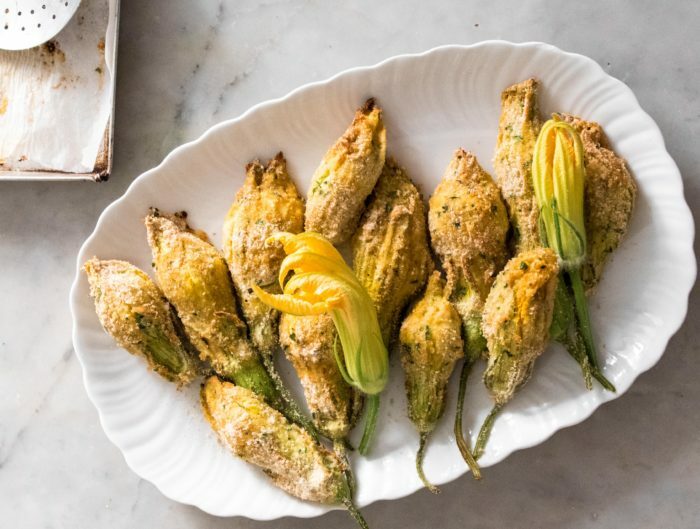 Baked stuffed zucchini blossoms and me in the paper. 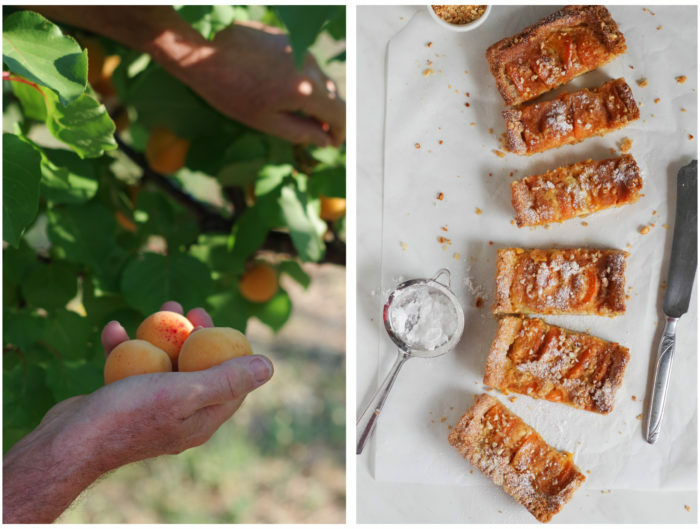 Valleggia apricots, my granny’s jam and Wally’s apricot tart, more or less.